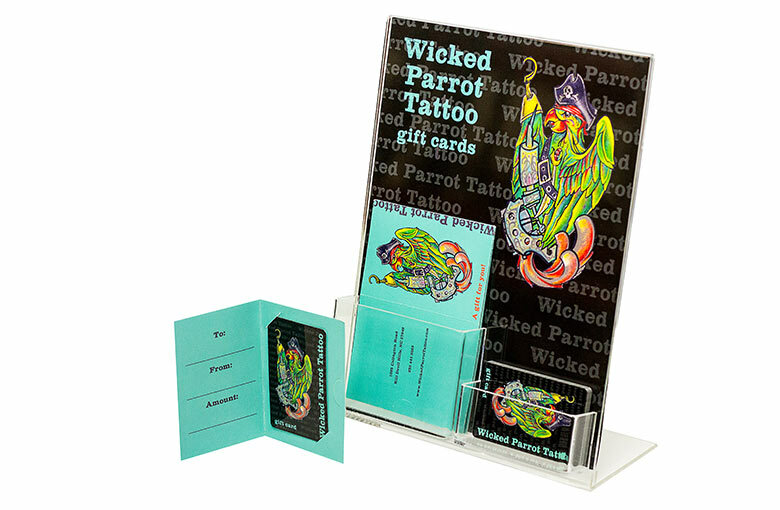 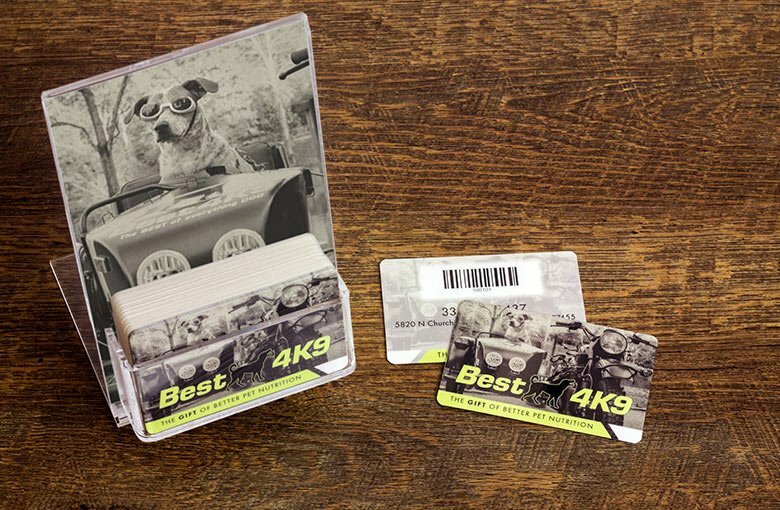 Get more out of your gift card program with display stands, gift card sleeves, gift card envelopes and backers. 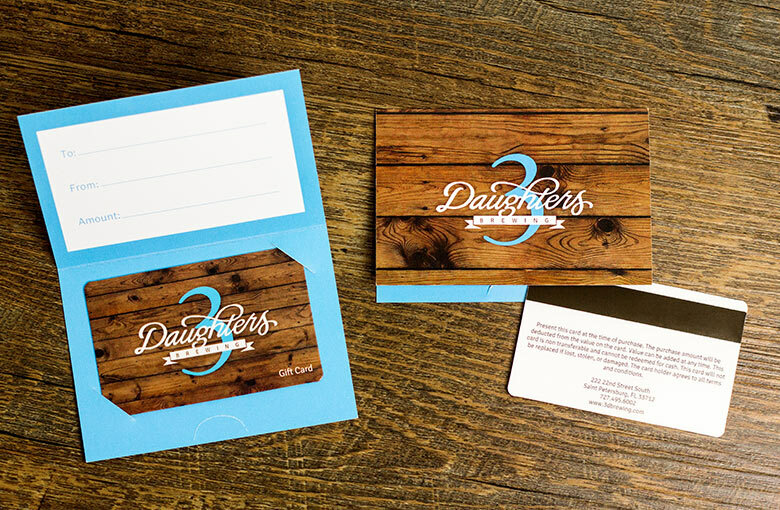 We can design custom gift card accessories or include generic sleeves and envelopes with your order. 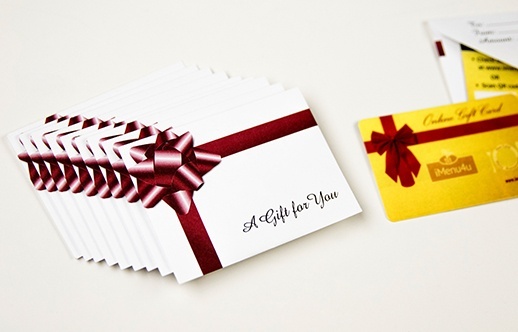 If you want to sell more gift cards, it's time to think about how to enhance the gift card experience at your business. 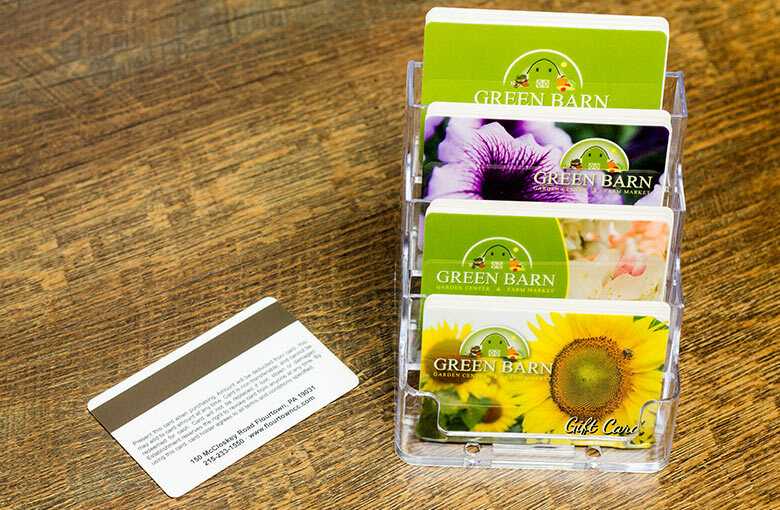 As gift cards are often an impulse purchase, making sure that they're easy to see and buy can have an immediate positive impact on sales—and offering a holder for your gift cards makes your customers more likely to perceive them as high value. 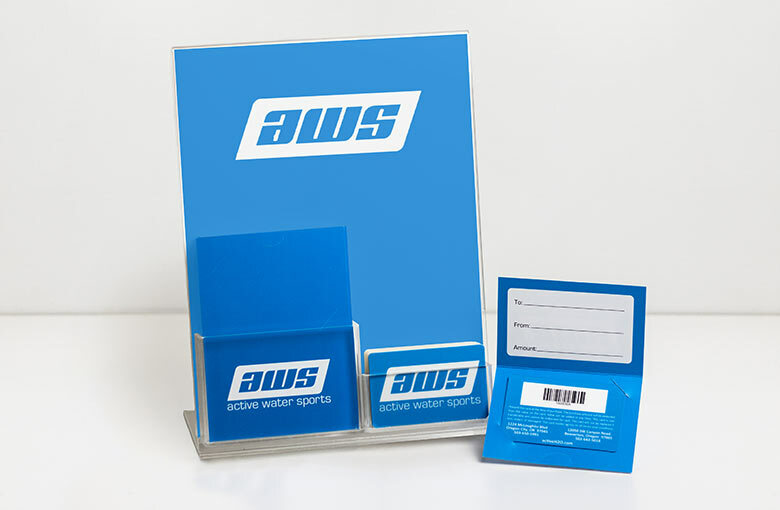 Acrylic display stands can be quickly up on counters or near a point of payment. 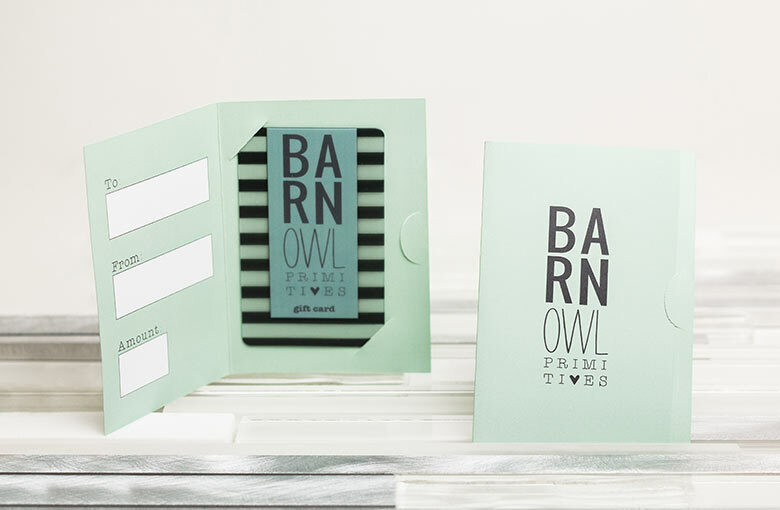 Changing the insert is as easy as printing out a new sheet of paper. 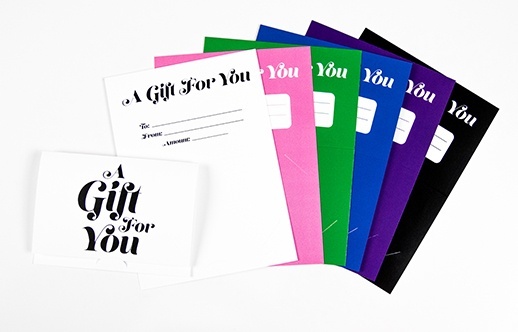 Paper sleeves are a popular way for businesses to enhance the gift giving experience. 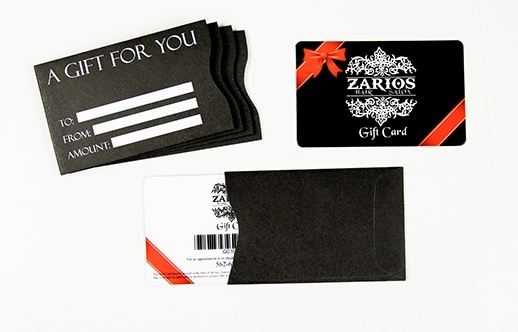 Gift card sleeves are commonly slipped inside a greeting card and hide the gift amount from the recipient. 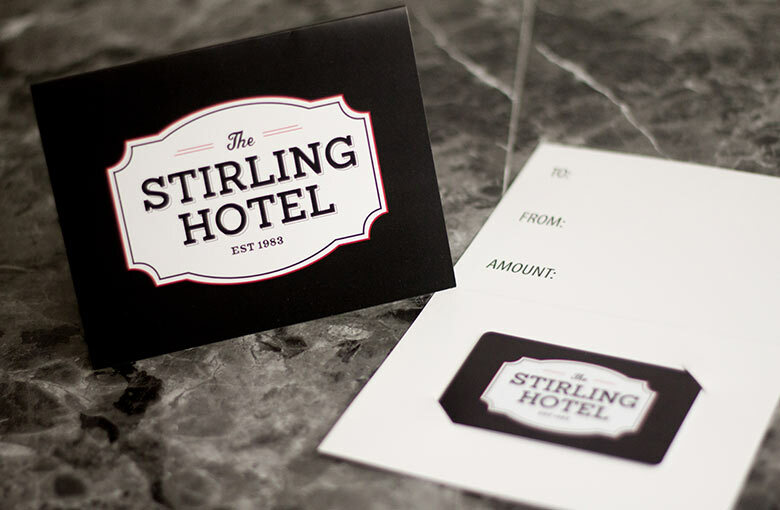 Backers look like greeting cards with inserts inside to hold and display a gift card. 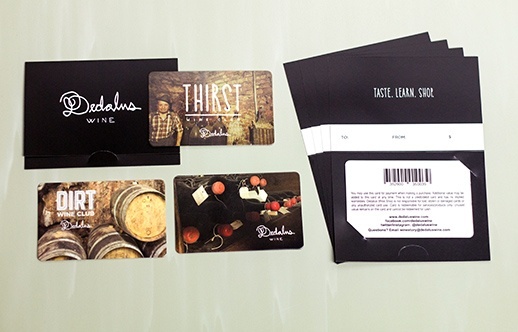 These are an easy way for businesses to customize existing plastic gift cards for holidays and special events. 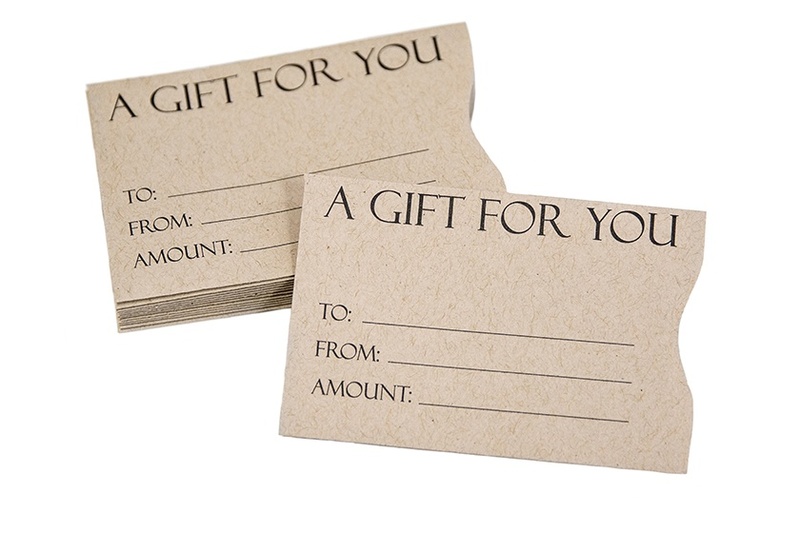 Encourage purchases by making it easy for your customers to give gift cards to their loved ones. 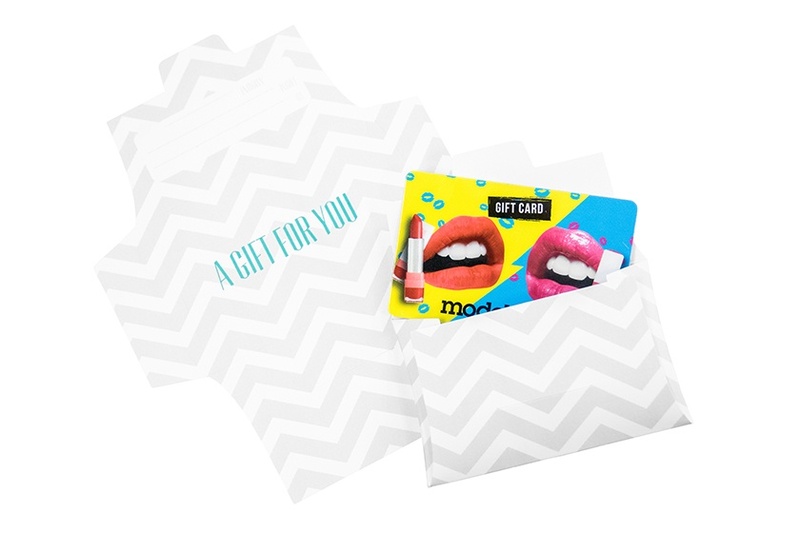 Gift card envelopes can be given alone, tied to the top of a present or slipped into a greeting card. 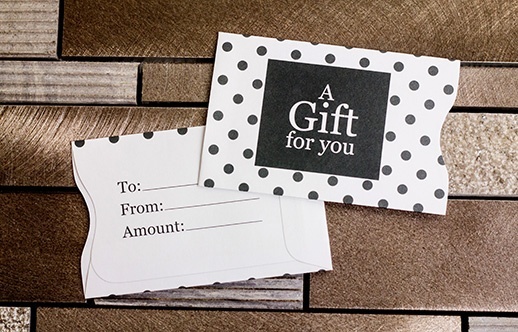 Speak with an expert today for ideas about how to get more out of your gift card program. 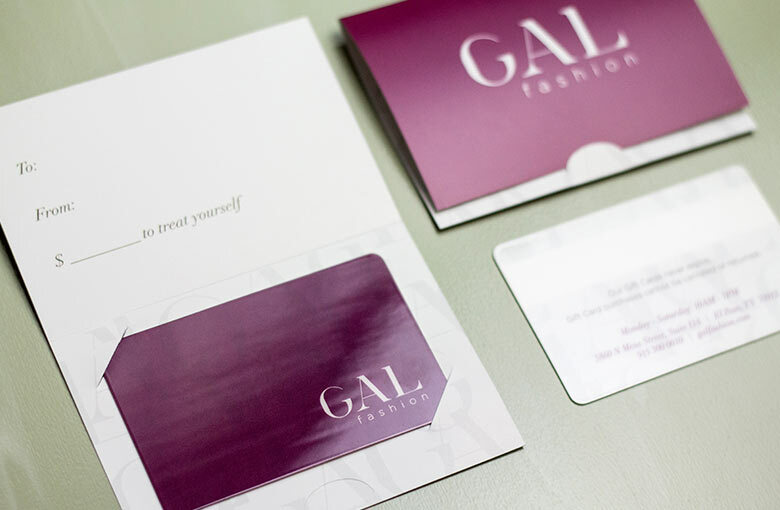 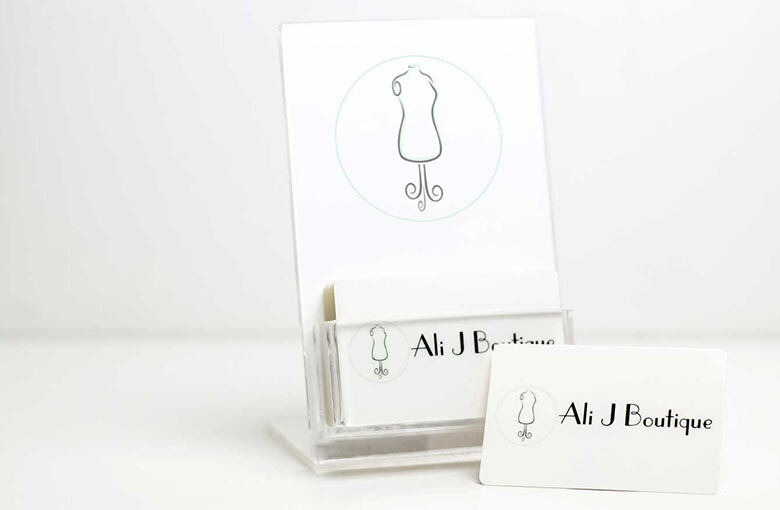 We can help design gift card accessories to match your gift cards and branding. 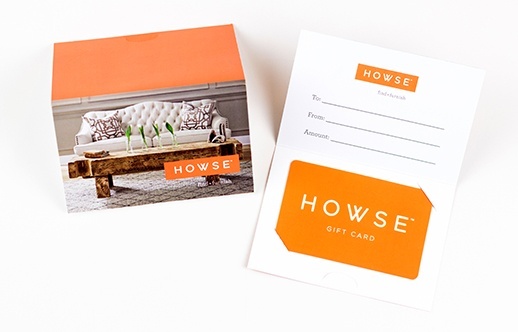 Save by ordering a custom gift card package. 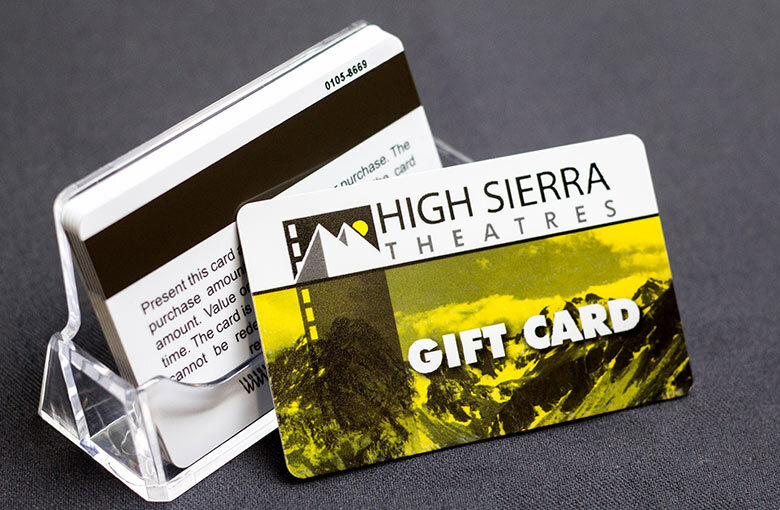 We offer a wide selection of generic gift card accessories. 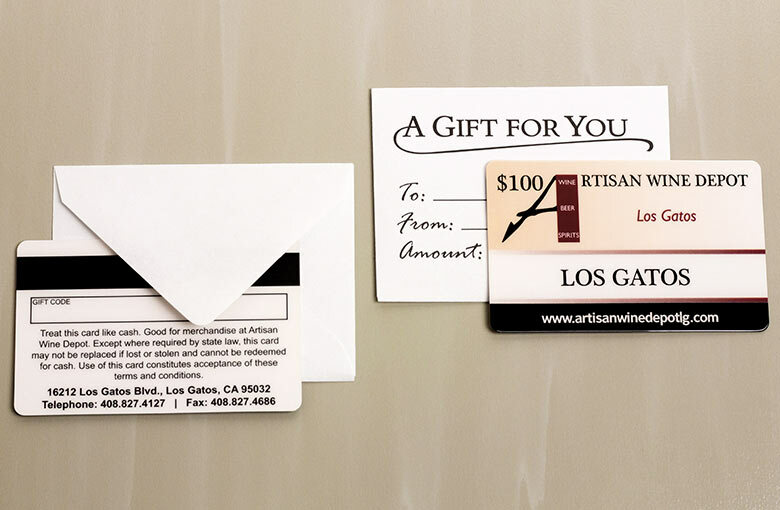 Order with your gift cards and save on envelopes, sleeves and backers. 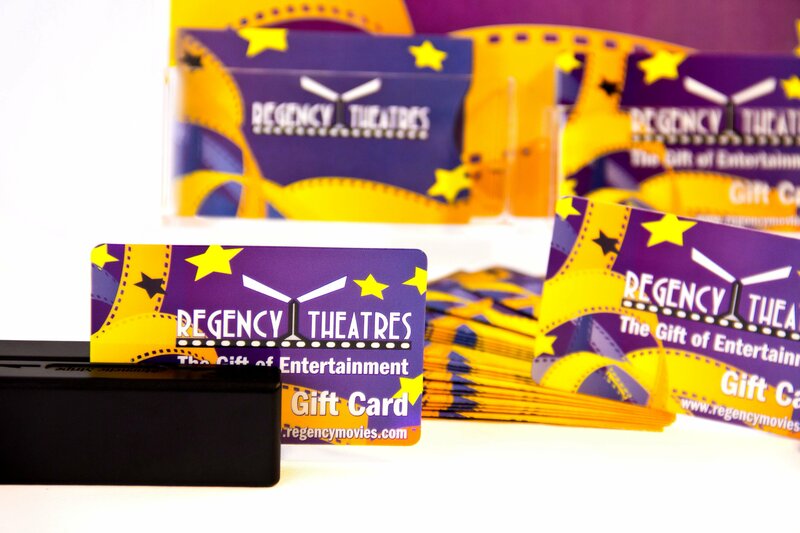 Sell more gift cards by displaying your cards by the register. 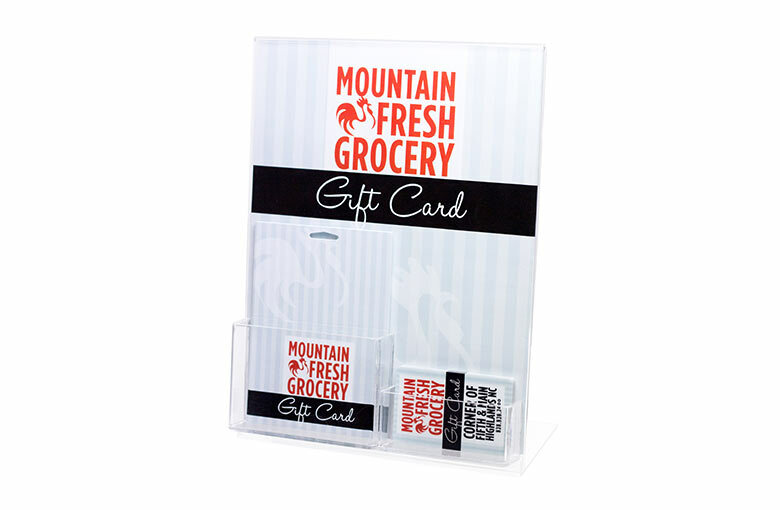 Custom and generic acrylic gift card display stands available. Let’s talk about your gift card accessories.